Would You Rideshare in a Self Driving Car? Your funding will help enable Dr. Kockelman and her team to conduct the majority of their electrified and shared automated vehicle fleet research. Dr. Kockelman and her team have the expertise to complete this research in the next two years, if fully funded. Every day more and more people are entering our roadways. As transportation needs increase, city planners need to understand and ready themselves for the impact of growing cities and their roadways. They need the proper tools to help understand the impacts of growth and make plans that will ensure public health and safety. Dr. Kara Kockelman, professor of Engineering at The University of Texas at Austin, and her team are working to ensure the future health and welfare of communities locally, nationally, and internationally. Dr. Kockelman uses complex econometrics or data analytics for forecasting the future of urban systems. She and her team are developing strategies for more affordable, less congested, and less polluting transportation solutions. Dr. Kockelman and her team's research involves the use of econometrics to to anticipate travel choices, emissions, human health and other impacts of multiple environmental policies. Dr. Kockelman's research begins by developing an urban forecast of the environment we live in. Urban forecasting helps anticipate the energy demands and emissions of citizens, buildings, transportation and many other variables. It requires understanding demographic land use changes, traveler choices, energy demands, emissions sources, network equilibration, and evolving vehicle technologies. With this data, her team monetizes the costs and benefits of different actions. Enabling Dr. Kockelman to deliver benefit-cost ratios and other performance metrics for different choices. Dr. Kockelman and her team provide decision-makers research data to steer them in the direction for optimal policy-making, alerting them to challenges and opportunities for making the world a better place, for a longer time. Dr. Kockelman's research depends heavily on the use of econometrics, including cutting-edge spatial econometrics, and on first-hand data acquisition from surveys of individual evaluation topics that have not been raised before. The research goal is to investigate the benefits of shared, self-driving vehicles for various location settings using dynamic ride-sharing applications with smartphones. This will help regions plan for the fast-evolving car and truck technologies, and not succumb to excessive travel. Dr. Kockelman and her team aim to prepare the best management of transportation systems including regulating fleet sizes, investing in fast charging for electric vehicles, and developing traffic management policies specific to community needs. One application outcome of the team's research is a restructured transportation system. Intersections may begin to operate without signal lights. As smart cars respond to on-demand systems, they will be told when to arrive - essentially forming non-stop mini-platoons through the intersections. With self-driving cars, crashes will be much less common. Private vehicle ownership may become a fad of the past, assuming most persons will elect to share a fleet of vehicles, and travel in smaller vehicles. Electric vehicles may become the norm, as batteries can be self-charged and hybrid vehicles can be sent to customers, as per their desired trip distance. Public transit operators may come to rely on self-driving van services, offering much higher levels of service to communities at a fraction of the cost. Cost will be lowered as a result of not needing a driver, as well as the ability to let the vehicle turn off when demand slows. The energy, emissions, air quality, and associated health implications of such systems are very important for our species and our planet. Studies that to anticipate future costs associated with health and development are essential. Research in this area will include the study of exposure differences that come with shifting petroleum-based travel miles to electrified miles. Shifting emissions from nearby tailpipes to somewhat remote power plants could benefit the health of the nation. Such investigations relate to a nation's energy security, as well as the health care costs of its citizens. Dr. Kockelman is a Schoch Professor of Civil, Architectural and Environmental Engineering at The University of Texas at Austin. Dr. Kockelman is a registered professional engineer and holds a Ph.D., M.S., and B.S. in civil engineering, a masters of City Planning, and a minor in economics from the University of California, Berkeley. Dr. Kockelman's primary research interests include the statistical modeling of urban systems (including models of travel behavior, trade, and location choice), energy and climate issues (vis-a-vis transport and land use decisions), the economic impacts of transport policy, and crash occurrence and consequences. 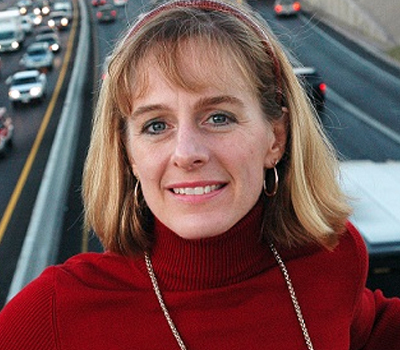 She has conducted research for the National Science Foundation (NSF), the U.S. Environmental Protection Agency, the National Cooperative and Strategic Highway Research Programs, the University Transportation Centers program, the North Central Texas Council of Governments and the Texas and Oregon Departments of Transportation. Recent and current projects include NSF grants for spatial econometric models of discrete response and studies of plug-in-electric-vehicle ownership and use, an NSF IGERT on the power grid, an NSF RCN on sustainable cities, an EPA STAR grant for land use, transport, and air quality models, NCHRP projects on demand modeling of non-motorized travel and tolled roadways, and TxDOT projects for holistic evaluation of competing network improvement projects and the development of a transportation economics reference for practitioners. She has received an NSF CAREER Award for faculty research and teaching (2000-2004), a Ford Fund CAREER Award (2002), a U.C. Transportation Center "Student of the Year" Award (1998), U.C. Berkeley's University Medal (1991), and the NSF and Berkeley Fellowships for graduate study (1993-1998). In 2002, MIT's Technology Review Magazine identified her as one of the world's Top 100 Innovators under age 35, and the Council of University Transportation Centers awarded her its inaugural Young Faculty Award. The American Society of Civil Engineers (ASCE) has awarded her its Laurie Prize (2014), Huber Prize (2010), and Bartholomew Award (2007). Most recently, she received the 2014 Google Reseach Award in robotics. 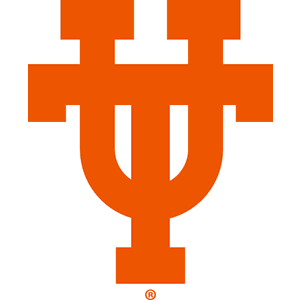 U.C. Berkeley's University Medal "Most Distinguished Graduate"